At tens of thousands of kilometers above the Earth, a Russian satellite slowly approached the French-Italian satellite Athena-Fidus in October 2017, a move France later denounced as "an act of espionage." What is less widely known is that just a few days before that, the same Russian satellite—known as Luch or Olymp-K—had been approached by an American military satellite named GSSAP, which came to within 10 kilometers (six miles) of it. Since 2010, China has also demonstrated an ability to pilot satellites to approach designated targets. These discreet maneuvers are just the most real sign of the militarization of space, several US experts told AFP. The United States, Russia and China are certainly capable of destroying enemy satellites using missiles, and probably by deliberate collision too. They may also be developing lasers to blind or damage satellites. But none of these types of attacks have ever happened in the six decades that humans have been venturing into space. The real space war is about jamming, hacking and cyber means, rather than blowing things up in orbit. "It's not an immediate collision threat," said Brian Weeden, director of program planning at Secure World Foundation, who has written a report on the movements of those satellites and other space threats. "My sense is that all of that stuff is being done for intelligence and surveillance purposes, that those close approaches are being done to take pictures of those satellites to figure out what they're doing, or to listen in on what signals are being broadcast up to them." 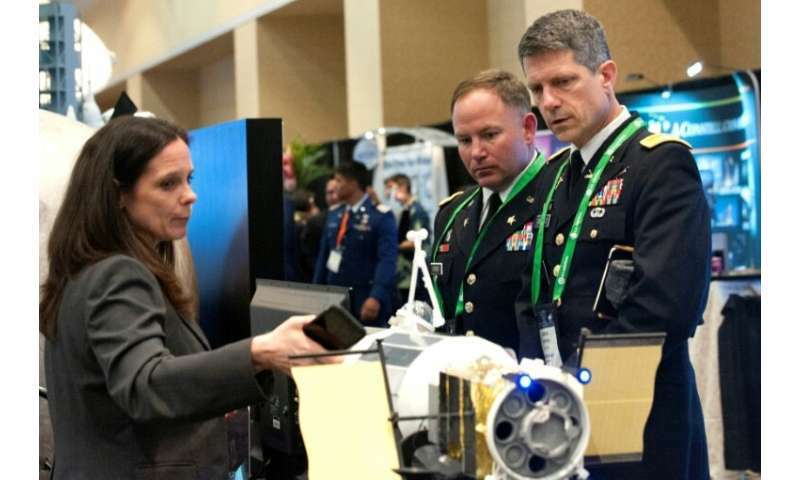 One only had to see the number of US and allied uniforms this week at the 35th Space Symposium, the big get-together of the space industry in Colorado Springs, to get a sense of how much interest military leaders now have in space. When Marty Whelan started working on military activities in space in 1984, "we put things in orbit, the hardest part was getting there. If you could get there, you were fine." The Gulf War in 1991 was the first time the US military really integrated space tech into ground operations, mostly using GPS to guide its "smart bombs." The first vulnerabilities in the system were exposed in the Iraq war more than a decade later, when Iran tried jamming US satellite signals, Whelan told AFP. In recent years, Russia jammed GPS signals around the Baltic Sea and elsewhere, forcing the US and its allies to develop counter-jamming technology. 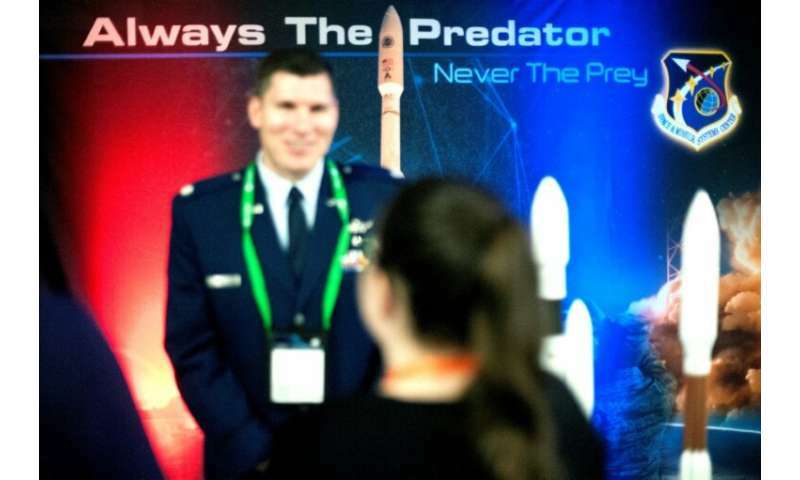 "People called it some kind of a protected space," said Whelan, who served for 33 years in the Air Force and is today vice president of The Aerospace Corporation. "If you blew up metal in space, no person will die, no mother would lose their son. But if their son or daughter was on a battlefield and now could not communicate, they could lose their son or daughter." "Space is just an enabler to the fight back on planet Earth," added the retired Air Force major general. 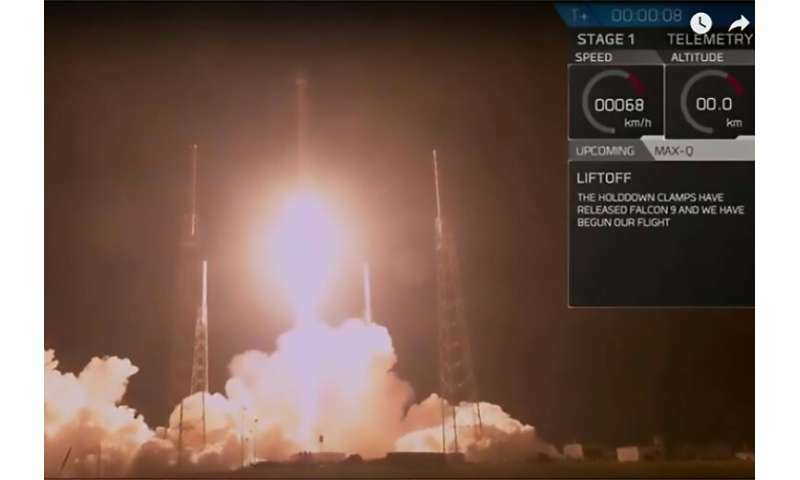 The SpaceX launch of the secretive US government satellite known as Zuma, in January 2018 at Cape Canaveral, Florida: Zuma's purpose was not disclosed, nor the government agency in charge of the payload, which was later lost SpaceX blasted off the secretive US government payload known as Zuma, a mission whose nature—and the agency behind it—remains a mystery. SpaceX has launched national security payloads in the past, including a spy satellite for the National Reconnaissance Office, and an X-37B space plane for the US Air Force. SpaceX chief executive Elon Musk's goal is to perfect the technique so that rockets can one day become just as reusable as airplanes, thereby lowering the cost of space travel. "We're at an inflection point," he said. "We can't do things the way we used to, everything we do must change." The whole space sector, both civilian and military, has started adapting to protect itself from jamming and cyber attacks. "It would be short-sighted of us to sit here today and in 2019 and say that, we have every single threat covered, we know how to address it and mitigate it," said Mark Knapp, director of National Security Programs at the Norwegian company KSAT, which operates more than 200 satellite communication antennae in ground stations around the world. "There's always new threats surfacing," he said. On the military side, the Pentagon is in the midst of a major reorganization to set up the Space Force pushed by President Donald Trump, which is still awaiting congressional approval. The Space Force will comprise some 20,000 personnel and be a co-equal branch of the military, alongside the Army, Navy, Marine Corps and Air Force. Monitoring space will be one of its top priorities. Fred Kennedy, selected to head the Defense Department's new Space Development Agency, on Tuesday unveiled his plans for a constellation of hundreds of small military satellites, built in conjunction with the private sector, to monitor in real time tens of thousands of objects around the world. "Everything between here and the moon," he told reporters at the Colorado Springs gathering. As for the new generation of French military satellites, the Syracuse 4, they will be kitted out with cameras to see if anything is getting too close to them. Can we solve the riddle of the coral reef halos? Why are pictures of galaxies so clear?